Psalms 93:4: The Lord on high is mightier than the noise of many waters,yea than the mighty waves of the sea. A special thanks to Gayle Steenbergen for the picture. Front row: left to right: Mrs. Delbert Matthews, Gladys Mayes, Elsie Peden, Violet Wells, Ollie Wells, Virginia Arterburn. Second row: Mrs. G.G. 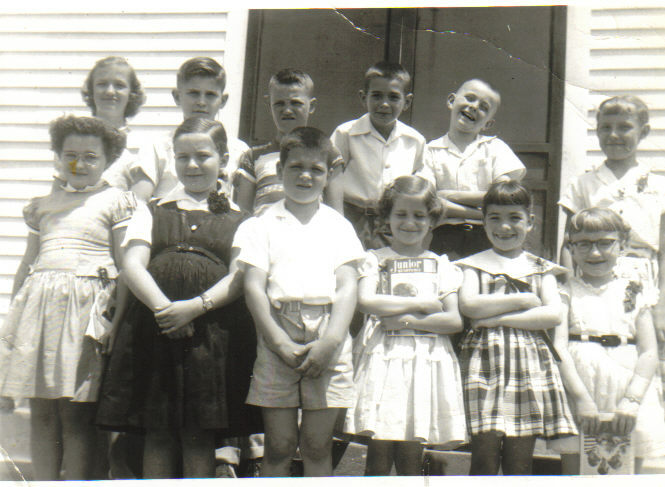 Lyle, Ruth Chenault (later Jones), Ruth Rigsby, Geneva Goode, Ruby Wilson, Opal Goode. 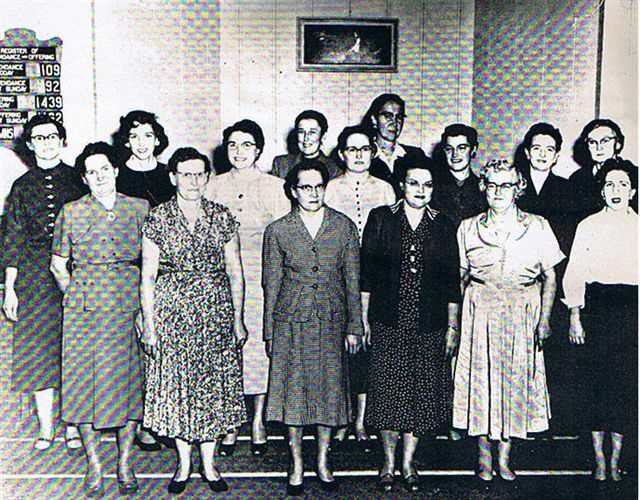 Back row: Laura McCoy, Mrs. Ray (Allie) Witty.